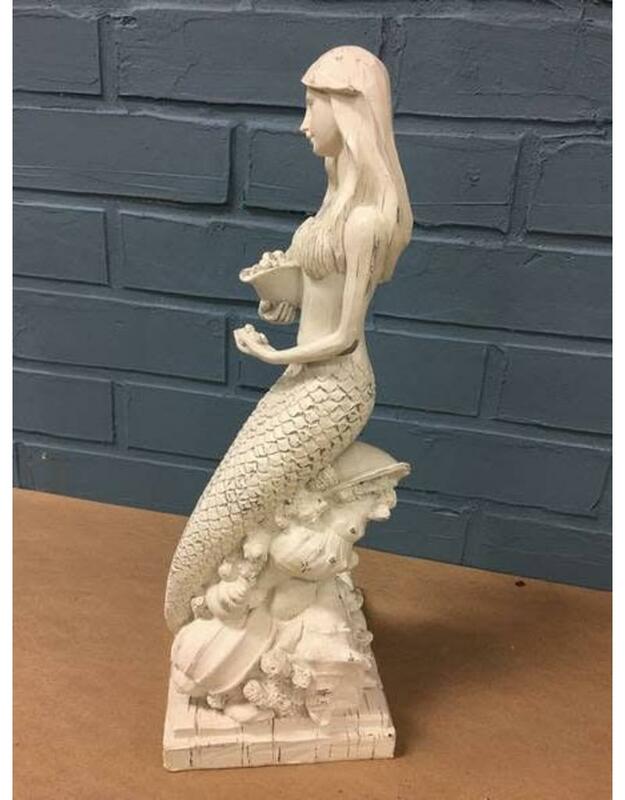 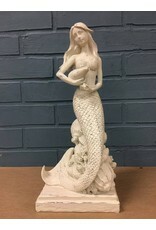 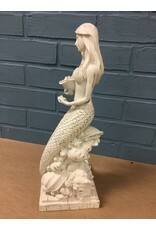 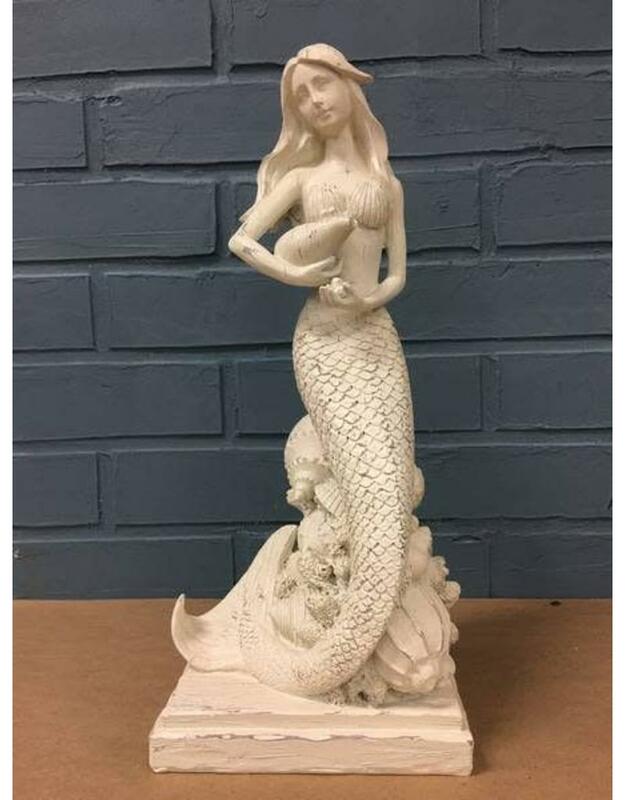 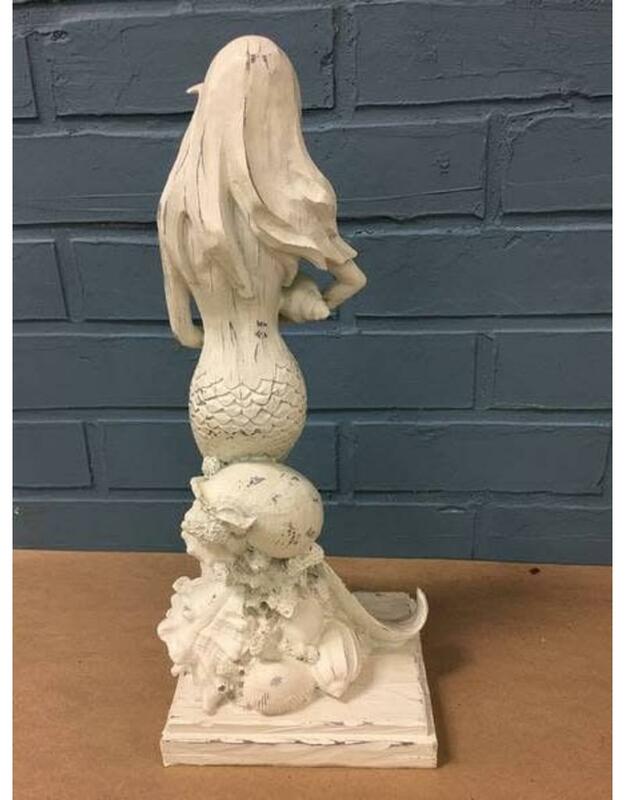 Resin mermaid statuette sitting on a variety of seashells and coral. 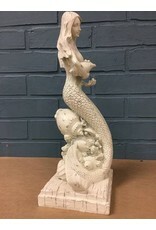 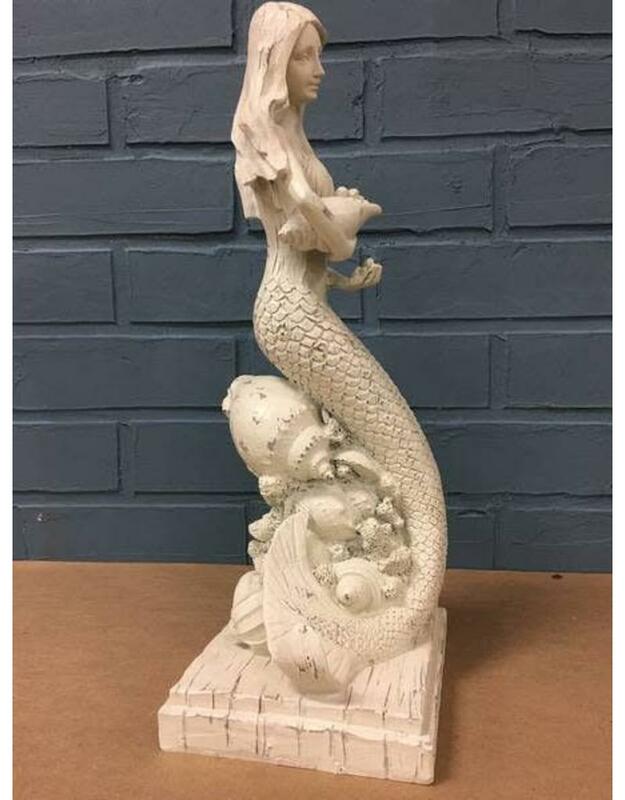 Whitewashed to have the appearance of carved driftwood. 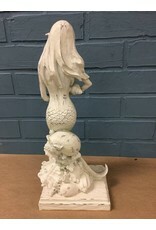 6" x 5" x 14.5"